Still working a full-time job and dreaming about the day you hand in your resignation? 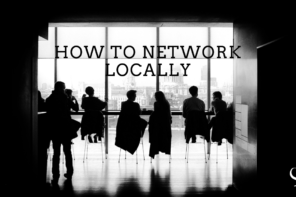 Is there a support system or network of people who are walking the same path as you, but you are not quite sure how to connect with them? Is it possible for you to work a full-time job and start your practice on the side? 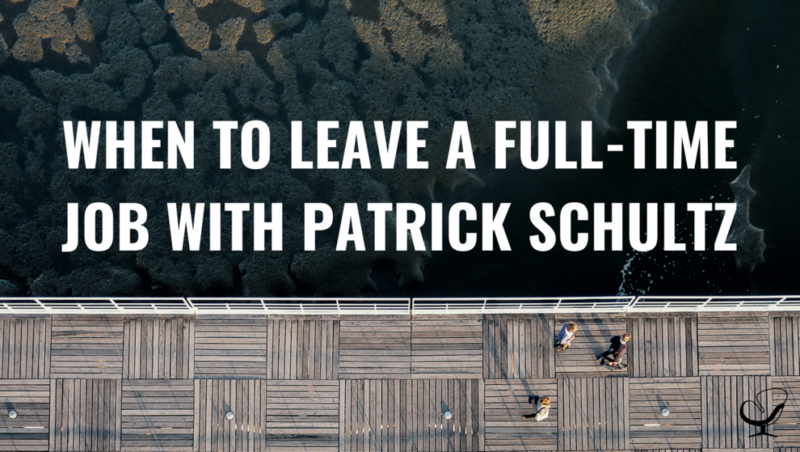 In this podcast episode, Joe Sanok speaks with Patrick Schultz about when to leave a full-time job. Patrick received his Master’s degree from Marquette University in community counseling. He’s spent time working in residential treatment with adolescent males, teaching at a local community college, and most recently working with adults in intensive outpatient and partial hospitalization programming in the Milwaukee area. Patrick has years of experience providing individual and couples counseling using both Cognitive Behavioral Therapy (CBT) and Solution Focused Brief therapy (SFBT). He also has experience in treatment trauma and is certified in Eye Movement Desensitization and Reprocessing (EMDR). Patrick also works closely with executives and young professionals looking to grow their leadership abilities. He enjoys working with athletes of any age or experience level in sports performance enhancement coaching. 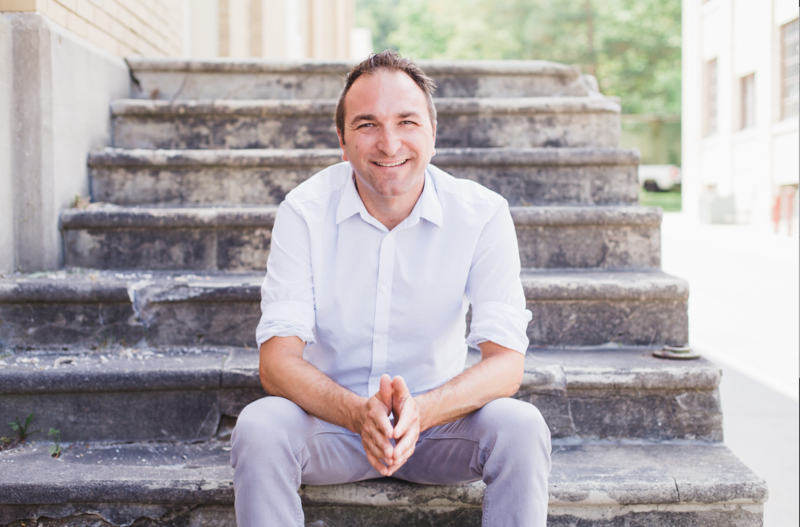 Patrick is licensed as a Professional Counselor through the State of Wisconsin and am also a Nationally Certified Counselor through the National Board for Certified Counselors. 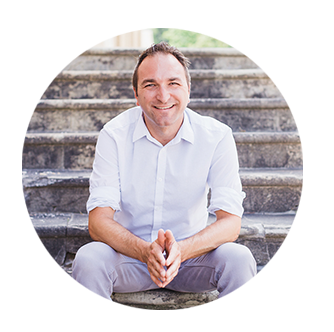 In this episode, Joe speaks to Patrick about how he started his practice in 2015, while he was working in the intensive outpatient programme. He wanted to have a place where he could see clients one-on-one outside of the programme and realized that he could do this after hours and with the flexibility of his full-time job. At that point Patrick had one or two clients he was seeing, and it was not meant to turn into a business. The more he listened to podcasts and saw successful practitioners around his area, he became more determined about turning this side practice into a full-time job. Patrick is still currently working towards his dream of being able to move into practice full-time. In four months Patrick has gone from having a handful of clients to now adding clinicians to his practice. This will set him up for being able to leave his full-time job. I have done a lot of reinvesting in myself. Don’t be afraid to take the leap and trust that by investing in you and your business, it’s going to pay off. This is the Practice of the Practice podcast with Joe Sanok – Session Number 313. [JOE] Well, today on the Practice of the Practice podcast, we have Patrick Schultz. He has milwaukeecounselor.com. He did his master’s degree from Marquette University in Community and spent time in residential treatment with adolescent males, teaching at the local community college. And, most recently, his working with adults in intensive outpatient programs. Patrick, welcome to the Practice of the Practice podcast! [PATRICK] Thanks for having me, Joe. I’m excited to be here. [JOE] Yeah. Your milwaukeecounselor.com – that’s awesome! Tell me about that story! [PATRICK] Well, I mean, I was listening to… I now listened to all of you podcast up to this point. But, one of the very first ones that I listened to was talking about domain names and some of the basics of getting your practice going. And, you were throwing out some ideas about, you know, how to look for a domain and see what’s available. Well, milwaukeecounselor.com seems rather intuitive so I took a stand and I look it up. It was available. So, I kind of jump out at that point and decided, you know, let’s make a go of this. [PATRICK] Well, I really started my practice back in probably the fall or early winter of 2015. I was still working in the Intensive Outpatient Program that I am now. And, I just wanted a place that, you know, there was a couple of clients that really connected with me and wanted to work with me outside of there that I could continue to see them one-on-one. It was then that I had one or two clients that I would see often. It wasn’t anything… or it wasn’t meant to be a business or anything like that, at least a full-time thing. The more I listen to the podcast, the more I looked at, you know, different successful practitioners in my areas. You know, that’s really what I want to do. And, I might the commitment to myself right around the end of 2016, the beginning of 2017 that I want this to growing and pushing myself to make this a job. So, I got my first website and did it through Squarespace and things like that. I was just binge listening to content like crazy from you and from other consultants, reading, looking at different things and trying to get as much information as I could, and putting them to practice as much as I could. I got the website up and started dabbling in Facebook ads, Google ads, and things like that. I wasn’t really seeing much of the return of investment that I wanted. So, I just started blogging like crazy and just trying to do all the different things that were being talked about in the podcast. Slowly but surely, things started to grow. I did a few people here and there. You know, it stayed pretty steady at about 4 or 5 clients or so. I realized that I want more than that. I want this to become my full-time job, so I can have a great work-life balance. And, I signed up with Next Level Practice. That’s really where things have given me a whole different perspective here. [JOE] I want to go back to when you wanted to start a practice when you had your Intensive Outpatients job and you potentially wanted to see people outside of that. So, a lot of people have full-time jobs and say, “I want to create a practice on the side.” First, I’d love to hear. Did you talk to your supervisor about that? Because I would guess, if you’re going to see people after they leave the program, there’s probably some sort of handoff there to make sure that you guys are around the same page. How did you handle that with your supervisor? [PATRICK] I actually didn’t have to talk to them at all. I never signed any kind of a contract with my full-time job about non-compete or anything like that. And, it was me… at that point, the hospital that I currently worked at doesn’t really have a lot of individual therapists. And, my specialty really wanted to focus on couples counseling. As long as it was kind of my client’s decision, you know, I just let them be the ones to decide to approach me about asking if I had any availability to see them outside of here. And, you know, it would be completely their idea. [JOE] Sure, sure. I think that’s just smart to think this through, to look at what your contract says, look at if you’ll be directly competing with your full-time job obviously. You know, you wouldn’t want to especially if you want to keep that job. But then, it sounds like you kind of looked at the contract, it wasn’t competing. You let the clients take the lead on. I was in a similar situation where I had my private practice on the side. I worked at a community college. And, I went to my supervisor and said, “If people ask about the therapist, am I allowed to recommend myself and give other options?” She was great. You know, I’m having that open relationship with her and I knew her personally. 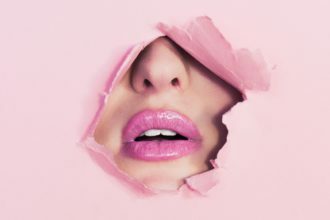 She said, “Yes, as long as you’re giving other options, then, that’s totally fine.” What ended up happening more was that people ended up at my private practice and said, “Oh, you can do counseling over that college? If I take one class there, can I see you there?” And so, I’m getting them more clients over at the college. 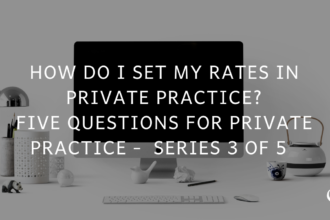 Now, when you decided that you wanted to start kind of really growing the private practice, did you cut back on your full-time hours? Did you just like work like crazy? How did you handle that balance there? [PATRICK] I’m still working like crazy. I still have my full-time job. By then, I have a family to support and the finances are a big concern why I still haven’t taken the leap yet to just leave my full-time job and just solely devote all of my time and energy into the private practice. So, I mean, I’m doing a lot, I feel like it’s just… my mind is constantly going with different things to be working on and the nights that I’m working in my private practice. Right now, I’m doing my full-time job Monday-Friday. My job is nice and flexible enough that I can leave a little bit early if I need to, to see clients in my private practice. So, I see clients 2 nights a week, usually every Tuesdays and Fridays. I know that it’s just kind of be a short-term thing. It’s not going to be permanent. Eventually, that will give way to having that be my full-time job. [JOE] Yeah. Yeah. What kind of indicators would you have to see before you’d be kind of willing to step down your full-time job to part-time or just straight up leave? [PATRICK] Well, definitely having a consistent flow of referrals where I’m at least getting, you know, at least one or two client a month and being able to feel confident that that stream will continue, and basically being able to meet the bottom line of where my income is at now because that seems to work really well for the expenses that I have with my wife and kids. [JOE] Yeah. I mean, when you’re… I don’t know if your primary income, but I was at the college. It’s like, “If you I leave this awesome job. I want to know that I’m going to definitely make at least what I was making there, if not, more, by leaving that job.” That’s a scary jump to make and to really figure out when’s best to make that jump. [PATRICK] And, I… One thing to help with that is I kind of do the math and keep that number present. 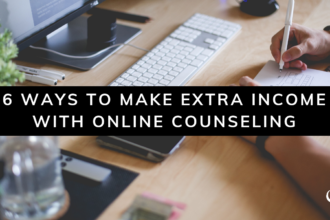 You know, I had it on a couple of notes at my desk at my private practice and at home with my ideal number of clients would be to meet the income number that I need to start having that consideration of being able to leave my full-time job. [JOE] I’m sure you’ve seen it. Some of the listeners might not know. We have an article on Practice of the Practice that’s called “How to Leave Your Full-time Job” or “When to Leave Your Full-time Job,” something like that. But, I had a when-to-leave-your-full-time-job calculator. It’s the actual formula that I had used as I was running the numbers. So, you can take your paced up and put it on your health insurance costs, all of… kind of everything. And say, “How much would it take in clients? And, what rates to equal exactly what your full-time job is?” So, for those of you who are listening. It might be helpful if you’re in a similar situation to Patrick. Now, Patrick, what are some things that you’ve worked on maybe on the last 3 or 4 months that have been really helped you to continue to keep this momentum? [PATRICK] Oh, man. Well, journeying Next Level Practice was kind of the big thing. I remember when you made the announcement that you’re going to start this group. I mean, initially, I was loving the idea of doing consulting with you and thinking about it. But, the cost of it and kind of where I was at business-wise just wasn’t making sense. So, when you announced that you’re going to this new kind of a group for people that are just starting out, I got just really, really excited. I remember the first time I heard it. I ran home to my wife and said, “Oh my goodness. You have no idea what’s about to happen.” And, I was like, “I have to get into this.” The day that the opening came up for that really first cohort, I was literally just like refreshing my browser every 10 seconds just making sure that I was in as soon as it open. I probably had such a big adrenaline rush at that point that I crashed toward the end of the day. [JOE] I think you were one of the first 5 or 10 people that got in like when 10 o’clock hit. [JOE] …which is awesome. I mean, for me, to have this idea with our team and then on that first day that the door is open, to look at PayPal and just see this flood of people that signed up for it, with any project, you may want to kind of test it out without putting too much into it. And so, I kind of… here’s what I wanted to be, but I also recognize this as you know, that maybe our platform may not work well. You know, all these things in the first cohort, you guys were super helpful in saying, “This isn’t working for us.” And, then we’d shift and change. But, to have that many people say, “Yes,” you will go on this journey with you, we will make sure that we tell you when we don’t like something, which was super helpful. So now, I feel like we’ve really landed on a great webinar platform, a great hub for all of our online content. And, you’ve been really involved with kind of helping develop out of that. [PATRICK] I tried. I mean I figured as much feedback as I can give to help other people out to where it’s really going to be at, kind of paying it forward. [JOE] So, where have you been really spending most of your time over the last few months to get you to where you’re at right now? I found an office space that met that build. I could start off with one office space and there’s like 7 or 8 others in that same area that I could eventually expand into. So, I have a ready-made space available to create a group practice, which was really what my goal is. So, I signed that lease. I moved in about a month ago. I signed up for a specific Google Ad Words campaign to Unconditional Media with John Clarke which one was your recommendations. [PATRICK] So, putting in that money to reinvest, I upgraded the website to go through Brighter Vision and that was just absolutely unbelievable, you know, that whole experience. And, I’ve been blogging like crazy. I made a nice big blog post series that I’m going to turn into an e-book. When I have a little bit more time, I’m going to go through and actually get that published and what-not. But, that’s in the very beginning stage. So, that’s going to be another option of what I’m doing. I also came up with an idea of an intensive couple retreat that I’m working on, kind of building right now. I’m going to try and launch it in summer for the first kind of goal around coming up this November. So, I got a lot of different ideas that have come about as a result of Next Level Practice in different ways that I can kind of grow and expand. It speaks to when you are a part of a community that really pushes you. You know, every month, we have this challenges that push you to do something that maybe you wouldn’t have thought of doing, or maybe your accountability partner being in the groups with people. Having that highly-focused community helps you just run so much faster to know where to spend your energy, rather than, “Should I blog?” And people are like, “Yeah, blog but turn it into an e-book. Turn it into a book that you can print. Don’t remake everything.” It seems like you’ve really taken a lot of advice from the community. [PATRICK] Yeah, it’s awesome. I think that’s what is most exciting about it. It’s not only done I hear from my small group and my accountability partners. But then, also hearing from other people and other groups and people who are just throwing ideas out to one another, “Hey, this is what I’m thinking. What do you guys think?” Just seeing other people saying, “Yeah. I’ve done that. That’s been really successful.” Or, “You know, I’ve tried it this way. It didn’t work but maybe try it this way.” It really helps to get a whole different perspective on things. Like, you said, not really reinvent the wheel and just being to take things and move forward. [JOE] Yeah, absolutely. So, when you look forward over the next, say, 3 to 6 months, what do you anticipate working on or achieving over the next half a year or so? [PATRICK] Well, my big goals for the next 6 months, especially, I have one 1099 contract that I brought on and he’s pretty much at his limit. He’s only going to take 4 people that he wants to work with. And, I’m actually going to be interviewing somebody else next week to potentially come on board. So, my goal is to get them as full as they want to be, which will really, I think help solidify my income to be able to start looking at leaving my full-time job and really devote time to networking and growing and making my practice become one of the premier ones in my area. [JOE] Wow. 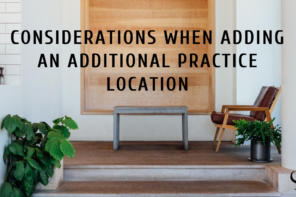 So, like in just 4 months, you’ve gone from having a handful of clients in your own practice, now, is a group practice owner that’s adding clinicians to your practice. [JOE] That is insane, Patrick! I’m so proud of you. That’s what I love about these interviews too. It’s because I don’t get like… I just get kind of one-line, two-line things. I see you guys growing but it’s like I don’t get to dive into this deep with every single person. And, I am surprised, sometimes, as I’m doing these interviews as like anybody. I know this stuff works but you guys are just killing it! [PATRICK] Well, I think, what really helped for me and this is kind of a jaw-dropping moment was one of the webinars that you did recently. That was kind of looking at the math of passive income and how it actually can multiply really, really quickly. One of the examples that you gave, instead of bringing like one person for 10 hours a week, you’re bringing in extra $60,000 a year. That just blew my mind. I was like, “That’s what’s going to get me to where I want to be, to be able to leave my job because that’s going to give me security.” I’d rather fill that person up sooner so that way, I have that cushion and that blanket even if that means that I’m still busting and working my full-time job and my practice. At least then, I have kind of a backup plan that can keep me secure. I do want to make that jump. [JOE] Well, in its… I think that totally speaks to the three different phases of start-grow-scale where when you’re starting like getting the nuts and bolts and getting all of the LLC and the marketing and the website and all these things you’ve been working on. 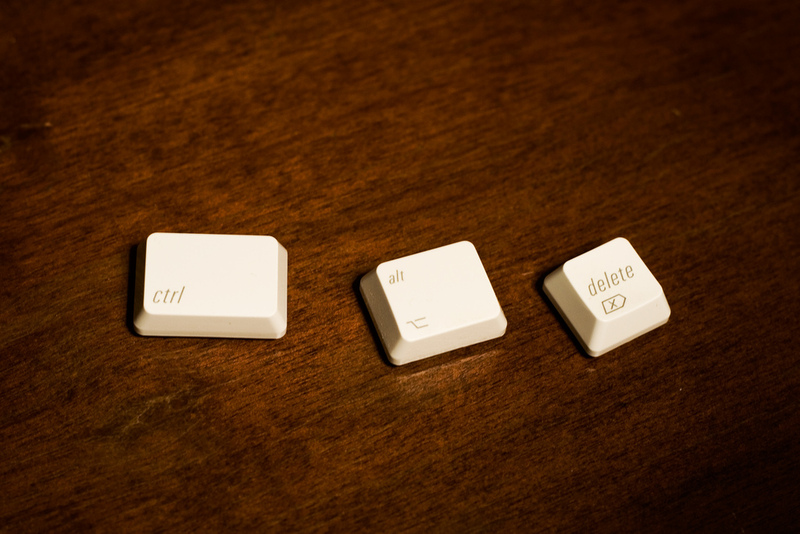 But then, there’s a time when you start to shift to say, “Well, for us to really start to grow, I’ve got to grow outside of my own limited time.” And so, adding assistance, adding digital processes, adding an IT team through Brighter Vision, and adding clinicians, I can bring in money while you’re out hanging out with your family. And then, when we really get to the kind of the scaling phase, it’s like, “How do we just keep replicating that, multiplying it so that you really aren’t the one that slows things down but the whole system then keeps it going within the process that you’ve set up? I mean, you moved in through that start phase. You’re clearly at the very beginning phases of that growth phase. And, you’re doing it right. [PATRICK] Awesome. That’s good to hear. [JOE] What if you got on this podcast and I’m like, “Oh, Patrick. You shouldn’t have done that.” No, I’m just kidding. [PATRICK] I probably would have hung my head in shame and done something. [JOE] Yeah, absolutely. So, who do you think Next Level Practice is for? Who would be the best people that can really get something out of it? [PATRICK] I think anybody that is willing, ready and wanting to put in the work. It’s not one of those things that you can just come in and sort of sit idly by it. I mean, you can. But then, you’re just kind of wasting your time and everybody else’s time. But, if you’re really motivated to change your practice and really do something different. That’s who it’s for, you know, people that are wanting ideas, and wanting feedback, and wanting support from other people who are in that same stage of practice. That’s really who it’s aimed for. So, it’s hit the mark hundred percent. [JOE] Thank you. I mean our team worked really hard to try and make that happen. Now, with so much information out there. There’s a great podcast. There are great Facebook groups. Why be at something like Next Level Practice that costs money versus just keep curating information yourself? [PATRICK] I think there’s something to be said about, you know, when you’re investing in yourself and something is extra costing you harder in money, it really makes you look at it from a different way rather than just passively being able to digest content and use it when you feel like it. When you’re paying money and knowing that your sessions going to pay for part of that, it makes you that much willing to put in the work because now, it’s actually affecting your bottom line. [JOE] What about the return on investment for you in time savings or money? 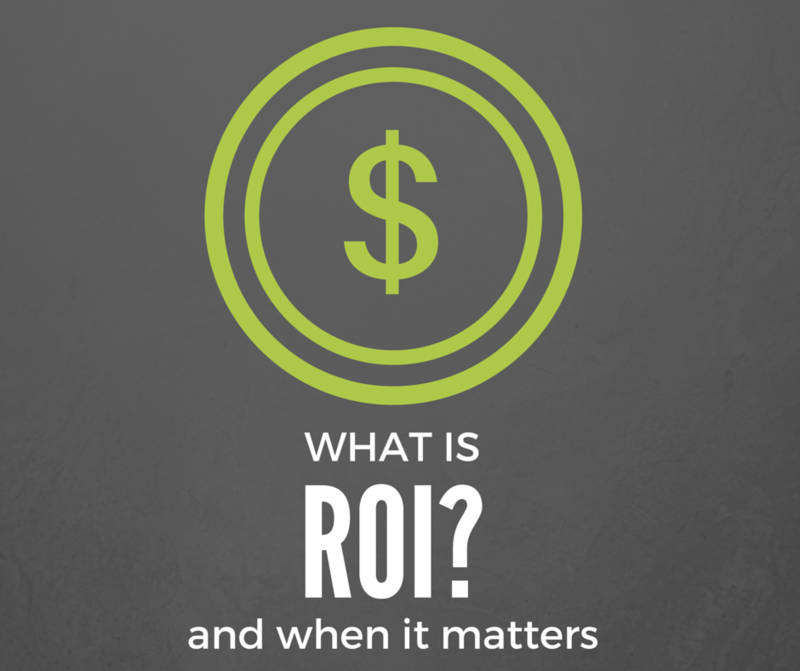 How would you frame up the return on investment for what you’ve experienced? [PATRICK] Well, I mean, I will say that my investment has I think brought in money, not as much as I would like. I mean I honestly want my growth to be faster. You and I were talking about that before. But, I just recognize that you know, this is where I’m at right now. But, I will say that the return on investment is I think has been huge. I’ve been able to put the money that I’m bringing it back into my business and be able to do the Google Ad Words campaign and invest in my systems, and upgrade, and things like that, which that’s where the growth will really start to happen now. [JOE] Yeah, absolutely. And I don’t doubt that as you add clinicians, as you make more time for… I mean, you figure… even if you have part-time at your full-time job to put in extra 20 hours, to see what you ‘ve done just in after-hours, I know that you’re going to continue to grow when you get there, when you had that extra time. So, Patrick, what’s the one thing that if every private practice owner in the world were listening right now that you’d want them to know? [PATRICK] Don’t be afraid to take the leap. It’d be very, very scary to think about investing money and spending money that looks like it’s not there. But, take the leap and trust that by investing in you and your business. It’s going to pay off. [JOE] Awesome. 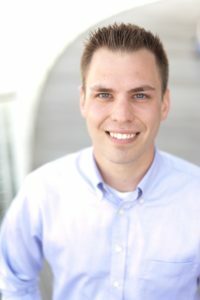 So, if you want to check out Patrick’s website, learn more about him, milwaukeecounselor.com, super easy to remember. 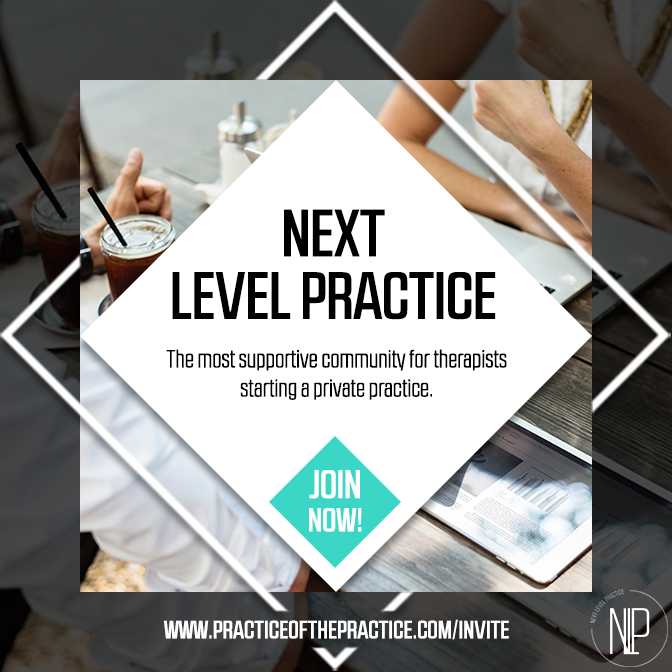 And, if you have a full-time job and you want this part-time private practice that could potentially replace it, if you want to be like Patrick and kill it like he has been, we would love for you to join Next Level Practice. Our next cohort, we’re going to be starting one every month to two months or so, groups of about 50 to 100. And so, if you want that invitation, if you want to jump in if you want to read more, head on over to practiceofthepractice.com/invite. We have a video there that will walk you through exactly what next level practice is. We’ll talk about the types of things we cover, the webinars, the Q&As, give things away every single month to our community. We get them an extra deal, some things. So, if you want to join Patrick and me, we’d love for you to head on over to practiceofthepractice.com/invite. Patrick, thanks so much for being on the podcast today. [PATRICK] Thanks, Joe. Appreciate it.